Sally is a fan of stories in almost any medium, including literature, theater, and film. She’d rather spend an afternoon in the audience across from the footlights than anywhere else, and she thinks DVDs and streaming movies are the greatest inventions since the automobile. She loves libraries and gets antsy if she has to drive very far without an audio book to listen to. The stories Sally writes have been published in literary magazines and anthologies, including Grow Old Along With Me—The Best Is Yet To Be, the audio version of which was a Grammy Award finalist in the Spoken Word or Nonmusical Album category. Her stories have also been recognized by The Saturday Evening Post Great American Fiction Contest 2017, the Syndicated Fiction Project, the Salem College National Literary Awards competition, the Black Lawrence Press Black River Chapbook Competition, The Ledge Fiction Awards Competition, and the Shenango River Books Prose Chapbook Contest. A North Carolina native, Sally graduated from Duke University. She later studied creative writing at the University of Kansas and at the University of Missouri-Kansas City. She earned a master’s degree in English with Writing Concentration at William Paterson University in New Jersey. She belongs to the Maryland Writers’ Association and served as treasurer of the association from 2008 until 2010. 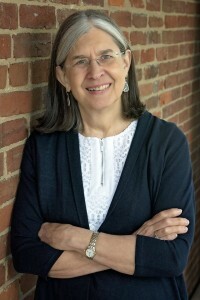 She’s also a member of The Writer’s Center in Bethesda, Maryland, and The Association of Writers and Writing Programs. She’s a regular contributor to Late Last Night Books, a blog about fiction, featuring insights, interviews, and book reviews written by novelists. In nonfiction, Sally’s worked as a public relations writer, freelance journalist, and editor of Best’s Review magazine. Her articles have appeared in magazines and newspapers, including St. Anthony Messenger, The Kansas City Star, AntiqueWeek, and Our State: Down Home in North Carolina. She currently lives in Pennsylvania with her cat, Ivy Rowe. When she isn’t writing, reading, watching movies, or attending plays, she likes to poke around in antique shops looking for treasures. “The best things in life are the ones that have been loved, whether by you or somebody else,” she says. Surface and Shadow is her first novel.